Look no further! 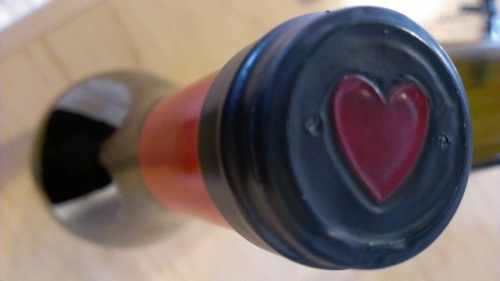 WineCollective has put together the perfect wine package that your Valentine will adore! No need to wait until March deliveries, we will ship your gift in February! We always want to show the people we love how much we care about them, Valentine’s Day gives us an opportunity to indulge that special someone with a thoughtful gift. WineCollective has selected 4 bottles of wine that will suit any Valentine’s tastes. Your gift will include a mixture of red, white and sparkling wine. When you place your gift order, you will have the opportunity to write a personalized note to your loved one. This gift message will be emailed to the receiver at the time of purchase, and will include details of their gift. Or you can choose not to send the email, and print the note to place in a card. Whether near or far, WineCollective will carefully package and ship your gift as soon as we receive your order. We will try our hardest to ensure that your gift is received before Valentine’s Day. However, we can only guarantee delivery before February 14th if you purchase is made by Feb 6th. (Here is some more details on our shipping process). We will also delay the shipping of your gift if mother nature isn’t cooperating, sometimes it is too cold to ship wine. Get in touch if you have any questions, we would be happy to help select the perfect gift for your Valentine!